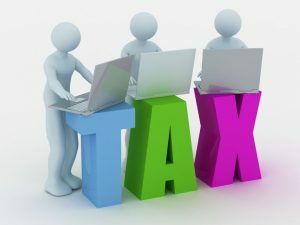 In plain terms, taxation has been described as a way of making persons, individuals and companies contribute to growth and development of a country, through payment of money via legalized levies according to their level of income or any other criteria (Okezie 2003). The Federal Inland Revenue Service (FIRS) however defines tax compliance as obeying provisions of tax laws willingly, without being forced. It also means registering yourself, enterprise, non-governmental organization or a government agency with tax authority and also keeping proper records, preparing tax returns, filing and payment of taxes. Apart from being a civic and constitutional duty, consistent payment of tax by concerned bodies help to maintain steady and sustainable national development by a responsive government. Petroleum Profits Tax (PPT): This is an act that imposes tax on profits of upstream petroleum operations. Upstream petroleum operations refers to exploration of petroleum products, mining and drilling. Downstream petroleum operations on the other hand refer to simple sale and distribution of processed oil products by local corporations. Therefore, corporations engaged in upstream exploration are subject to Petroleum Profits Tax (PPT), while downstream corporations are subject to Companies Income Tax (CIT). The current rate of petroleum profits tax is 50% for operations in the deep offshore and inland basin and 85% for operations in the onshore and shallow waters. Companies resident in Nigeria, with the exception of companies engaged in petroleum operations. Foreign companies that earn their income from Nigeria. Value Added Tax (VAT): This is a tax placed on a product whenever value is added at a stage of production and at the final sale. VAT is a way of charging tax on the increase in value of goods and services at each stage they are produced, rather than just selling on their final selling price to customers. Personal Income Tax (PIT): This is a tax that governments impose on financial income generated by all entities within their jurisdiction. Thus, by law, businesses and individuals must file an income tax return every year to determine whether they owe any taxes or are eligible for a tax refund. A person liable to PIT is expected to compute his tax liability , file tax return and pay tax, if any, accordingly on a calendar year basis. Withholding Tax (WHT): Withholding tax is an advance payment of income tax. It is the payment of income tax liability of a taxpayer or company. Because it is not a distinct tax type and has no legislation of its own, WHT is only a mechanism for collection of other taxes that may have been lost through evasion and/or avoidance. Education Tax (EDT): Here, a tax of 2% of assessable profits is imposed on all companies incorporated in Nigeria. It is done with a view to ensuring that all companies contribute to the development of the education sector. Capital Gains Tax (CGT): This pertains to all gains accruing to a taxpayer from the sale or lease or other transfer of proprietary rights in a chargeable interest which are subject to a CGT of 10%. In simple terms, CGT is a tax on profits obtained from a disposal or exchange of certain kinds of assets. Failure to charge, withhold and remit WHT, PAYE and VAT to FIRS. It would be agreed that the aforementioned require professional handling by individual or service companies that will be in charge of comprehensive tax planning and management of tax compliance, as well as advice on future tax developments. Gleaning from the not too sweet experiences of organizations that have fallen short of tax compliance, it is advisable to approach taxation with responsibility and caution. PML Advisory Gathers Accountants, Auditors & Finance Manager for a One Day IFRS Jamboree Event in Ikeja. it would have been cool if you specified the rate for each type of tax. bravo.